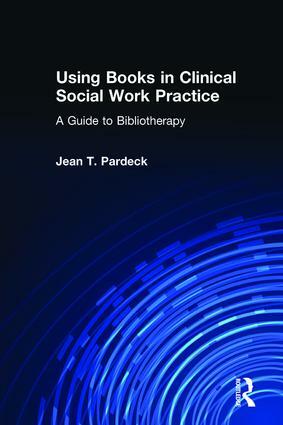 Using Books in Clinical Social Work Practice: A Guide to Bibliotherapy introduces clinical social workers and other helping professionals to bibliotherapy, an innovative approach to helping individuals deal with psychological, social, and developmental problems. Literally meaning “treatment through books,” bibliotherapy actively involves the client in the therapeutic process through the reading of carefully selected and evaluated books. With this guide, the therapy you give will provide information and insight, stimulate discussion, communicate new values and attitudes, create awareness that others have similar problems, and provide solutions to problems. Although bibliotherapy is a well-established practice technique in other professions, including psychiatry and psychology, social work practitioners have not traditionally used bibliotherapy as part of their practice. Using Books in Clinical Social Work Practice gives today’s helping professional an approach to problem solving that you and your clients will find refreshing and effective.